The Earth is under attack! Evil alien forces from Mars are invading! The humanity last hope is a team of slightly forgotten heroes. Help Ramdo, Bernie, Mr. Zee, Ivan and Sgt. Pepper fight off those blue invaders! Give those martians some hot lead, so they will leave our planet once and for all. 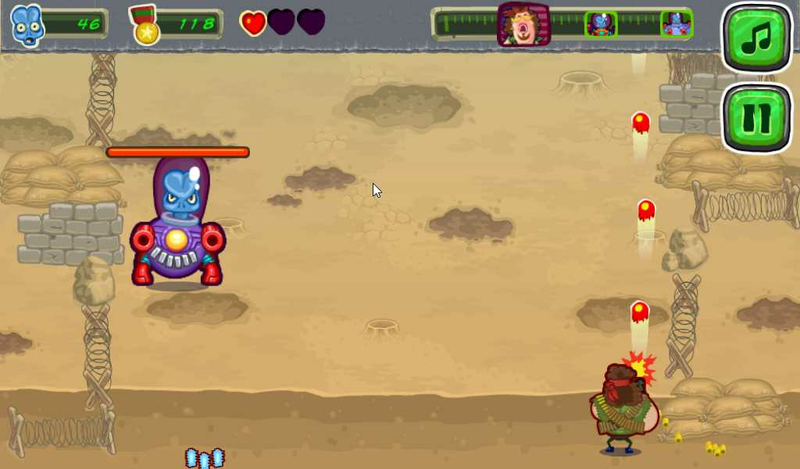 Your super machine gun fires automatically, you just need to strife left and right to avoid deadly enemy lasers. Gather enough medals to buy yourself even better gun or some laser-proof jackets (real heroes won’t even consider buying them of course). 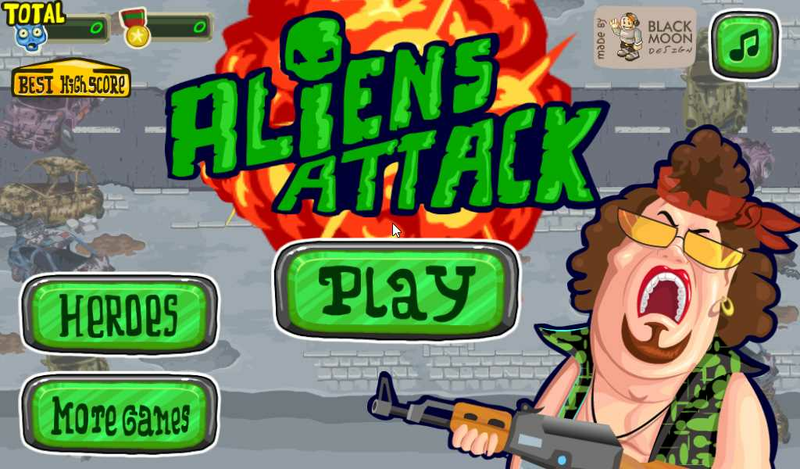 Shoot, kill aliens, kill their leaders and save the planet, the nation and the president! 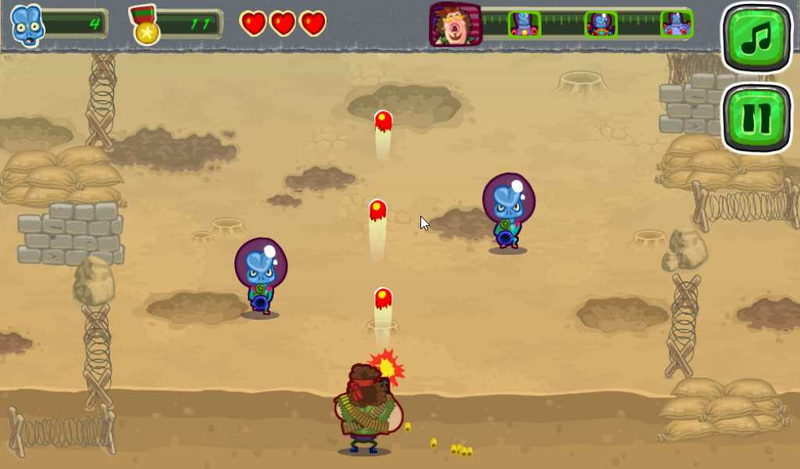 Oh - you can throw grenades to kill aliens as well (after buying them).